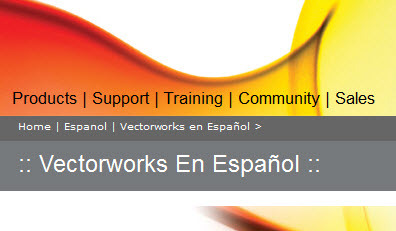 The Vectorworks 2011 line of products which includes Vectorworks Architect, Landmark, Fundamentals and Renderworks is now available in Spanish. The product will be made available in Spain and South and Central American countries like Mexico, Chile, Dominican Republic and Argentina. Nemetschek has also put up a Spanish section on their web site at http://www.nemetschek.net/espanol/.